Nitin Ramrakhiyani ~~ नितिन रामरखियानी | Work.. Research.. Leisure.. Enjoy.. Live !!! Work.. Research.. Leisure.. Enjoy.. Live !!! 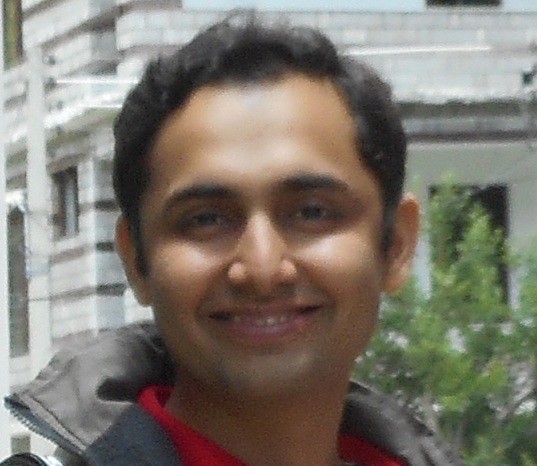 I am Nitin Ramrakhiyani, a Researcher at the Tata Research Development and Design Centre (TRDDC) in Pune. I work in areas of Text Mining, Natural Language Processing and Machine Learning. I am also pursuing my PhD (externally) at International Institute of Information Technology (IIIT) Hyderabad under Prof. Vasudeva Varma. I hold a Masters in Technology (M. Tech) in Machine Intelligence from DAIICT, Gandhinagar, India. 1. ACM Professional Member since January 2016. 2. Program Committee Member for European Conference on Information Retrieval (ECIR) 2019, Annual Conference of the North American Chapter of the Association of Computational Linguistics (NAACL) 2019, Forum for Information Retrieval (FIRE) (since 2014) and SSEI Workshop, WWW 2018. 3. Sub-Reviewer for NAACL (2018) and CODS-COMAD (2017). 4. Implicit Sub-Reviewer for DSAA (2016), KDD (2016, 2019), ICON (2016, 2018), and TCS TACTICS (2015). 5. Co-conducted a Faculty Development Program on Information Extraction at SGGSIET, Nanded, India (March 2017). 6. Talked on Concepts in Information Retrieval at IEEE InfoDay 2013, DAIICT, Gandhinagar, India.